We are exposed daily to toxins including pollution, preservatives, harmful cosmetics and products, over time this exposure can make our body toxic. Our overall health is dependent on how well our body can remove and purge toxins specifically through liver function. Our liver produces bile to digest fat, it store vitamins and minerals and it breaks down hormones. If you feel like your liver function is not 100% there is hope and by changing your lifestyle you can start feeling better quickly, within a few weeks. 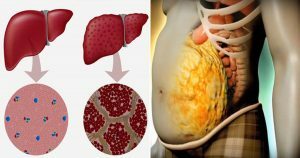 Cleansing and detoxifying the liver and colon helps to clear pesticides, medications, heavy metals and the remnants of aggressive chemotherapy out of your system, resulting in a healthy liver. Alanine transaminase (ALT).ALT is an enzyme found in the liver that helps your body metabolize protein. When the liver is damaged, ALT is released into the bloodstream and levels increase. Aspartate transaminase (AST).AST is an enzyme that helps metabolize alanine, an amino acid. Like ALT, AST is normally present in blood at low levels. An increase in AST levels may indicate liver damage or disease or muscle damage. Alkaline phosphatase (ALP).ALP is an enzyme in the liver, bile ducts and bone. Higher-than-normal levels of ALP may indicate liver damage or disease, such as a blocked bile duct, or certain bone diseases. Albumin and total protein.Albumin is one of several proteins made in the liver. Your body needs these proteins to fight infections and to perform other functions. Lower-than-normal levels of albumin and total protein might indicate liver damage or disease. Gamma-glutamyltransferase (GGT).GGT is an enzyme in the blood. Higher-than-normal levels may indicate liver or bile duct damage. L-lactate dehydrogenase (LD).LD is an enzyme found in the liver. Elevated levels may indicate liver damage but can be elevated in many other disorders. Prothrombin time (PT).PT is the time it takes your blood to clot. Increased PT may indicate liver damage but can also be elevated if you’re taking certain blood-thinning drugs, such as warfarin. Eliminate potentially toxic foods from your diet. Increase your consumption of vegetables and fruits. Consume foods that are high in potassium. Supplement with milk thistle, dandelion root and turmeric. Processed foods including foods that have added sugars and hydrogenated oils, both are extremely dangerous for the liver. Hydrogenated oils, also known as “trans fats,” have higher levels of saturated fat. The chemical structure of the oil itself has been altered to increase shelf life. Consumption of trans fats dramatically increases the risk for heart disease and chronic inflammation. Deli meats, and cured meats bought at the store have dangerous levels of nitrates and nitrites that increase shelf life but also put major stress on your liver. Replace these options with high quality all natural meats instead. Be creative with herbs and spices and cooking practices to increase taste without the harmful preservatives. Mainstream farming and food production practices in the meat, seafood and poultry industry can contain many harmful toxins. The animals are pumped with antibiotics, steroids, hormones, and low quality feed, this is a guarantee that the meat, seafood and poultry that comes from mainstream farming is toxic and over time with regular consumption of these animal products your body will become toxic and liver function will reduce. Choose certified all natural animal products that have higher standards for the quality of farming and production. Vegetables ideal for a liver cleanse include cruciferous vegetables like cabbage, cauliflower and Brussels sprouts. Roast them with herbs, spices, lemon juice and olive or coconut oil for maximum flavor. All vegetables help to reduce acid levels in the body, helping to create a more friendly pH balance. In addition to cooked vegetables, consider juicing and smoothies, drinking your fruits and vegetables can be easier to meet the daily serving recommendations of 9-11 per day. Fruits and vegetables contain a higher percentage of water then most foods, this is another natural detoxifying component of plant-based foods. The high fiber content helps support a healthy digestive tract, aiding in the elimination of toxins. Both Fiber and water content of fruits and vegetables also will keep you feeling full longer and satisfied, reducing cravings for foods that are toxic to the liver like processed snacks. 4700 mg. of potassium is recommended per day, most people do not meet this recommendation without trying. Potassium helps reduce systolic blood pressure, while detoxifying the liver and supporting a healthy cardiovascular system. In addition, blackstrap molasses, spinach, coconut and apricots also contain significant amounts of potassium. All of these foods listed are not only high in potassium, they are also high in vitamins, minerals and antioxidants, which all help boost liver function. Turmeric has anti-inflammatory properties, which helps reduce joint pain; is an effective antidepressant; aids in digestion; helps to restore a healthy blood sugar balance; and supports healthy liver tissue and liver metabolism. Milk Thistle often comes to mind during a liver detoxification, it is considered the “king” of detoxifying herbs, making it ideal for a liver cleanse. Milk thistle helps remove metals, medication toxins, environmental toxins and the effects of alcohol on the liver. Dandelion Root is actually packed with vitamins and minerals. It has a natural diuretic effect, allowing your liver to more quickly eliminate toxins. It also helps to strengthen the immune system, balance blood sugar levels, relieve heartburn, and soothe digestive upset. Natural bodybuilders and fitness competitors use it to cut water weight the day of their physique competition. Consider doing a liver cleanses every quarter or when symptoms listed at the beginning of the article are present. Maintain a healthy diet void of processed foods, and high in quality all natural protein sources, vegetables, legumes and whole grains.